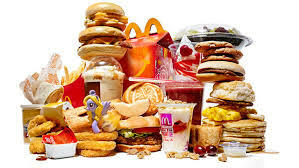 The Fast Food Industry (also known as the quick service restaurant industry) is one of the largest and most successful industries in the world. In the USA alone, it is worth approximately $200 billion and serves over 50 million Americans every day. What factors have contributed to the success of the Fast Food Industry? And how can other sectors learn from this industry. In particular, what lessons can online businesses, websites and blogs learn from the Fast Food Industry? After careful observation and analysis, I’ve put together what I consider to be the 15 key success factors of the Fast Food Industry. By extension these 15 success factors are also important lessons for other industries. One of the most successful strategies of the Fast Food industry is that they bundle related products together to form a combo. Typically, this comes in the form of a drink, main item (e.g. chicken, burger or nuggets) and fries. This strategy has been super successful. People often end up buying products they may not have bought otherwise. For instance, you may really want a burger and a drink. But since the combo comes with fries you get it anyway. For an online business this is an important lesson. By combining high performing products with lower performing ones in the form of a combo or bonus package you are able to sell more. More because of the perceived value and more of the products that are low sellers. A key lesson from the Fast Food industry is variety. Imagine going into a KFC franchise and all they were selling were wings and a coke. That would not be very successful would it? However, you are able to get different pieces of meat, cooked in different styles (original or extra crispy), drinks, fries, nuggets, and much more. The menu board has a variety of different combinations and possibilities. In the same way, in your online business, if you are selling digital products whether they are your own or affiliate products, you need to offer your customers a variety. Selling one product will not make you a success. Many of the top online marketers out there have multiple stream of income. Many are in totally unrelated fields. For instance, Ryan Levesque sells orchid guides, memory boosting guides, online business courses, digital tools and much more. You’d be wise to do the same. 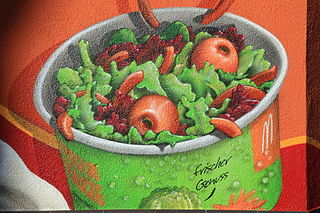 The Fast Food industry is notorious for their attention grabbing visuals and creatives. From the colorful menus to the color scheme of the restaurants to the easily identifiable logos, the Fast Food industry is one of the leaders in branding and visual appeal. This is indeed, one of their success factors. What lessons can online businesses learn from this? In online business, where you are just another blade of grass in an open field of other online marketers, you need to develop imagery that clearly identifies your brand and makes you stand out from the rest. When someone sees your website or an image on your site or a social media post, they have to know right away that it is you. Color, context, content and consistency all help to solidify your brand image. Today’s consumers are avid bargain hunters and value seekers. They are spending their hard-earned cash and want to know that they are getting more than they are paying for. Perceived value is the order of the day. This is another reason why the Fast Food industry is so successful. The size of the servings are usually huge. The combinations also create perceived value as well. 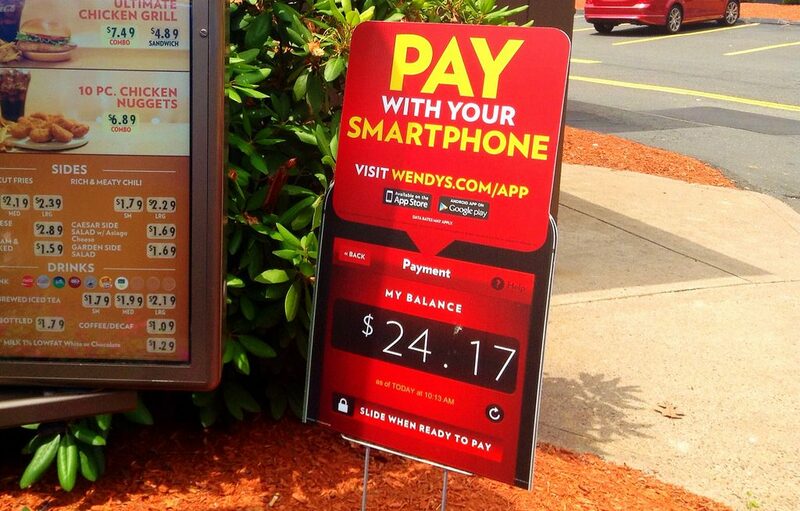 Imagine if you had to pay separately each for fries, a drink and a burger. It would certainly cost more than if you bought everything together as a combo. That is perceived value working for you right there. In online business, this is a lesson that has become best practice today. Many times when you are buying a digital product online you get tons of bonuses. So you need to copy that. Your customers need to feel as if your are paying THEM to get your product. “Would you like a toastie with that?” You hear that all the time when you are at the cashier at Subway. What are they doing? Upselling. They are getting you to buy something you did not originally intend to buy. 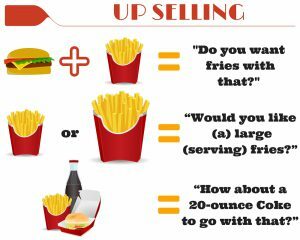 Upselling can be done in different ways. Either you get the person to buy a more expensive product or you get them to buy a product that they don’t really need or never really thought of buying in the first place. 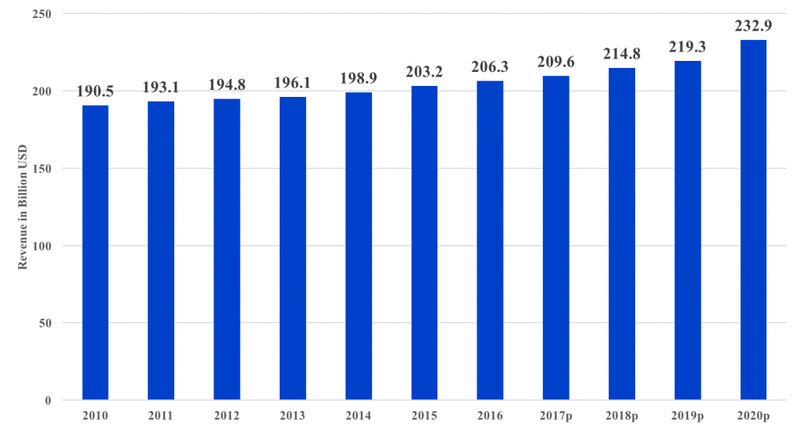 The Fast Food industry makes a huge chunk of their revenue each year from upselling. Imagine if people only ever tried a fast food restaurant once and never returned. Fast food chains like McDonalds or KFC would go out of business in a short period. One of the success factors of fast food chains is repeat business. This is their lifeblood. Similarly, online businesses need to ensure that they get repeat customers all the time. Otherwise, you’d be fighting to get new customers each and every time. This is a recipe for disaster. It is much easier to sell to someone who has purchased from you in the past than it is to sell to a completely new prospect. Past customers are considered warm or hot leads. New customers are cold leads and they are a challenge to sell. In the online business world the way to avoid leakage of customers is to increase lead generation strategies. What are lead generation strategies? Basically, this is when you get someone to subscribe or opt-in to your email list. The secret to repeat sales is email mining. As an online entrepreneur, if you were to lose your entire business today or tomorrow and had to start all over again, you’d have a significant head start if you had a strong email list. Many successful online entrepreneurs have built their businesses mainly (and in a few cases) solely on email marketing. Why is this so? When you have a list of people who have either interacted with your content or have purchased from you in the past, when you come out with a new product you can easily send out a broadcast to your entire list and you’d have a higher success rate than if you had no list. But remember, the list must be a legitimate list of opt-ins. You run the risk of ruining your reputation, getting sued or losing customers if you spam unsolicited emails. Another consideration, is that customers have options. You are just one out of many online businesses. So in order to win, wow and woo prospective customers you need to offer exceptional service and incredible value. You need to find ways to make your brand, product or service stand out from the rest. Utilizing brilliant copy writing techniques, smart advertising and strong social media strategies are also ways to win over customers. Fast Food enterprises build their success on volume. Prices are low. Mark up per unit is low. But because of the high volume they make lost of money. And that ladies and gentlemen is also the secret to success for online businesses. For affiliate marketers it is even more the case. Cost is low and therefore mark up per sale is high. Add high traffic to that and you have a winning formula. The traffic question is ever on the minds of bloggers and affiliate marketers, especially newbies. How to get more traffic? Where to find traffic? Why am I not getting enough traffic? What should I do? Look at the Fast Food industry. Each chain has hundreds of outlets all over. Most of them are in busy, high-traffic areas. How can you replicate this formula in your online business? Simple. Through the development of lots of quality content around topics you will get high search traffic and relatively low competition. Each post or page on your website is like a branch outlet greeting, meeting and selling to visitors who ‘pass by’. The more posts you have, the more likely you are to get traffic. It’s that simple. For instance, in 2016, there were over 25,000 Starbucks restaurants around the world, according to Stastista. Imagine if you had over 25,000 posts/pages on your website. Imagine that each post gets 1 visitor a day. Do the math. That’s 1 visitor x 25,000 posts x 30 days = 750,000 visitors per month. Now, Starbucks didn’t build 25,000 restaurants overnight. They did so over many years. So while you may not be able to build 25,000 pages/posts you certainly can do 1,000 in 5 years that’s 3 to 4 posts per week. Very doable, especially if you are doing this full-time or if you have others helping you create content. 8. Franchise – get others to sell your products for you. The franchise model has worked brilliantly for the Fast Food industry. There are two models that can work in the online business world that replicate, to some extent, the franchise model. Firstly, if you have your own product you can create Private Label Rights (PLR). This allows others to buy the product from you with the rights to resell it. Another model, is affiliate marketing. While affiliate marketers do not have the rights to resell your products, they do have the rights to promote it and in return they get a commission for doing so. 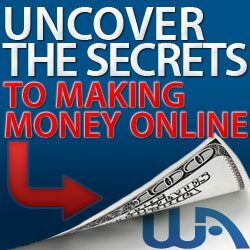 This has worked extremely well for many online businesses such as Wealthy Affiliate (an online training platform with over 900,000 registered users). Through their branding, advertising, promotions and high number of outlets, fast food restaurants are always ‘in your face’. Their strategies help to keep them top of mind. To replicate visibility in your online business, you first need to be easily found in search results. Search engine optimization (SEO) is therefore a critical strategy that you need to employ. Use low-competing, long-tail keywords. In addition, you need to be sociable and engaging. Share your content and create engaging posts on the top social media platforms such as Facebook. Google Plus, Twitter, LinkedIn, Instagram, Pinterest and any others you think would be relevant to your business. Use attention-grabbing or controversial titles to attract attention. It’s not just about posting and sharing valuable content but you have to have frequency and consistency to be truly visible to your customers. Engage with them. You need to be top of mind with visitors and with the search engines. Branding and building a strong brand reputation does not happen overnight. Branding is built on the provision of consistent high quality products and services and on sound marketing. The Fast Food industry has been able to successfully build branding over time. Many fast food restaurant chains are well-known globally. In addition, they adhere to set standards from one market to another to ensure consistency in quality across markets. Many of the factors mentioned within this article have contributed to building strong brands for many fast food chains. In order to build a strong brand in the online world as an affiliate marketer or a blogger, you need to first offer valuable content. When people feel that they are benefiting from your content on a regular and consistence basis over time, your reputation will improve over time. However, if you offer value but are not consistent then your brand reputation will hurt as a result. In addition, if you consistently and regularly create content, but it is not perceived as beneficial and valuable content, then you will not build any brand muscle. The secret is in the source. What do I mean? Your website / brand has to be seen as the go-to source for information or content in your respective niche. A cup of Starbucks coffee in New York or Chicago or London or New Delhi tastes the same. Through standards and quality control, the fast food industry has been able to provide consistent products and services across the board. Similarly, as an online blogger or affiliate marketer you need to have standards and to be consistent. Standards can only come through the right training. Learn about content creation, how to set up a website, how to effectively communicate and target your markets, how to optimize your website for search engines and much more. Training is needed to expand your knowledge and to keep up to date with the latest trends. Consistency is also key – consistency with the quality of your posts, your branding and your value proposition. All posts, no matter the topic, should be of similar quality and offer value to your readers. Check spelling and grammar. Post high quality images. If you are using videos make sure the quality is high and professionally done (even if you do it yourself, it should look very professional). Day in and day out, be consistent, have standards and adhere to those standards you set. See what your top competitors are doing and try to match it or even perfect it. A key success factor of the Fast Food industry is that they adapt to market and consumer trends. For example, in response to the increased health consciousness, many fast food enterprises have included healthier options on their menu – salads, low fat, less sugar and so on. This is a key lesson that online businesses need to copy. Pay attention to global trends. See what’s happening in your specific niche and ensure that you adapt and respond accordingly. Two key techniques to help you keep up with the trends in your sector is to monitor what your top competitors are doing and also to let search trends inform you. Use Google Trends and also Google Alerts for key search terms relevant to your niche to keep abreast of what’s happening in your niche. Fast food restaurant chains, while they enforce standards and consistency from one market to another, they also take into account the specific needs of each market in which they operate. For example, in India, Hindus do not eat beef. In response to the specific needs of this market McDonald offers the Maharajah Mac – a chicken burger. 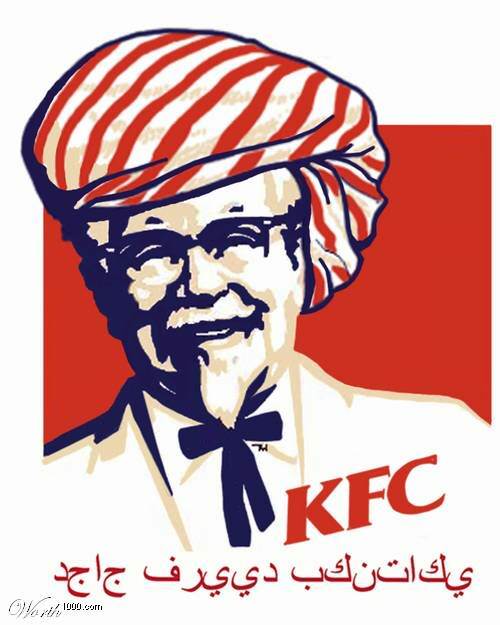 Similarly, KFC considers the needs of their Muslim markets. In one of the outlets in Brooklyn, New York they offer halal beef (meat that adhere to specific Islamic requirements). Their branding has been adapted to reflect this offering. See image below from the Brooklyn restaurant. What is the lesson to be learnt here? Online businesses need to ‘speak’ the language of their markets. Customization needs to be utilized. There are two forms of customization that online businesses, bloggers or affiliate marketers could utilize – pure customization or perceived customization (also known as customized communication). Perceived Customization – Same product for different markets. Focus on different benefits or use different language for different markets. The fast food industry is extremely competitive and in order to stay ahead of their competitors, fast food restaurants are always coming up with new ideas or new ways of doing business. Whether it’s adding salads, fresh fruit, wraps and egg whites to their menu (as in the case of McDonalds) or creating 24-hour drive throughs or chicken fries at Burger King, fast food businesses are always innovating to remain competitive. This is an important lesson in online business. Internet business is a very competitive arena and affiliate marketers, bloggers and just about any type of online business need to find ways to stay on point. Many online businesses are now using innovative market segmentation methodologies such as the Ask Phenomenon or using webinar technology to win over customers and cater to them with surgical precision. You always hear in the physical retail and restaurant world that location is very important for success. Fast food restaurants always set up shop in very busy and easily accessible locations. Internet business is no different. You want to ensure that your website content is ‘located’ in places that receive high traffic. Ensure that you content is shared on popular networks such as Facebook, Twitter, Instagram, Tumblr, Pinterest, Snapchat, Xing and many others. These success tips can be easily replicated. Get the best training and support you need to start, build and run a successful online business today. Click on the link below to get more information. I like how you compared how the fast food industry with online marketing. As someone who has just ventured into online marketing, reading tips like this are very helpful for me. #2 Variety: Don’t fast food places focus on particular things? For example, KFC does not sell beef burgers. McDonald’s does not sell Pizza. I do like this point from #4: Your customers need to feel as if your are paying THEM to get your product. #4 is a good point to keep in-mind to bring back return visitors. Thanks so much Marco for your comments. I am delighted that you found the article helpful especially as you are a newbie in online marketing. You are precisely my target audience. So I am pleased as a pumpkin. You’ve raised an interesting point about tip #2 – Variety. 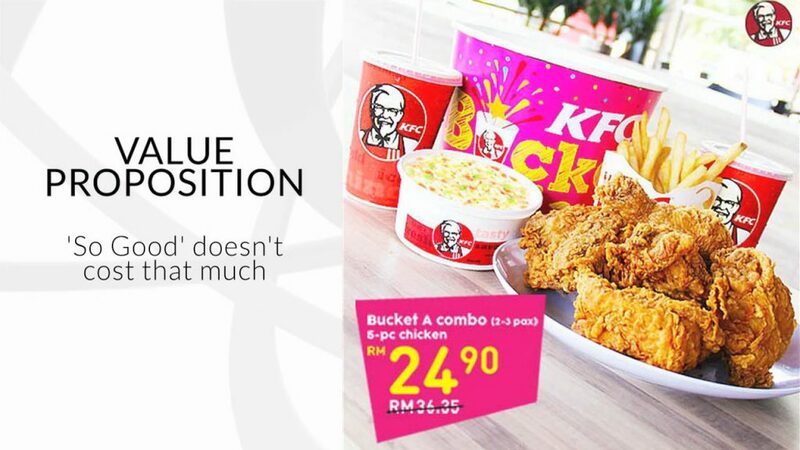 You see, chicken and beef are two separate niches from KFC’s perspective. However, within their specific niche, chicken, they do offer variety – you’ve got spicy/extra crispy chicken, original recipe, chicken nuggets, popcorn chicken and even rotisserie chicken – that’s variety right there. For variety to be effective you don’t have to venture outside of your niche. You can take the same product and present it in a variety of ways. Let’s look at an online business, say Wealthy Affiliate. While they are offering training for online businesses there is a variety of training topics. Each one could be sold as a product on it’s own. Someone could join WA to learn about how to build a website or how to do PPC campaigns or how to do affiliate marketing or how to implement SEO strategies. That’s variety right there. For a while, the title ‘threw me for six’ – then I got your drift!! ALL the points you highlighted are so ‘spot on’, you certainly touched on the ‘meat of the matter’. You actually leave me speechless and only being able to utter one word – Awesome and You are so right!! Thanks so much for sharing in a fun and entertaining way about something as beneficial and important to ANY online business – as a matter of fact – to any business. Continued success and keep it coming! Thanks a mil Michelle for your comment. Can you tell me what about the title ‘threw you for six’? Was it misleading or confusing in any way? I always like to know so that I can improve future posts. Is there any one particular point that jumped out at you or that you feel you can implement in your business immediately? You post is well detailed. These are the key components that makes for success. I believe that every business that succeeds has a formula for success like what you are showing here. I really enjoyed the 15 tips. I am a big fan of fast food. Even though fast food is not healthy at all. 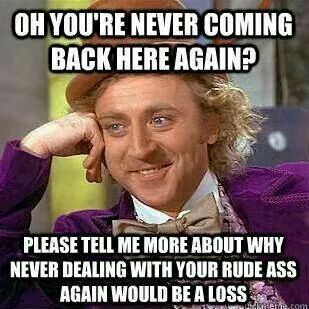 But you listed great lessons, and I totally agree with all of your points. I agree that variety is one of the 15 lessons of success from the Fast Food Industry. If it weren’t for variety, fast food industry would be out of business. As they say, Kay, “Variety is the spice of life”. It is also the spice of business. This is really an important lesson from the fast food industry. Have you been able to determine how you will implement the lesson of variety in your online business? What an interesting comparison. Who would’ve thought the Dollar Menu could teach entrepreneurs a thing or two about perceived value? I will definitely be applying to this to my business from here on out. Thanks for sharing! Yes Charlie. There are so many lessons we can learn from other industries, including the fast food industry. What I try to do is to observe what businesses are doing exceptionally well, regardless of their respective industry and see how I could apply it to my online business. I’m glad you thought there were good ideas in this post. Way to go! Awesome post, and really accurate. There are a lot of really great tips for success here, especially with the up-sell aspect. I am working on creating a few e-books to offer, instead of just one! Fast food places really do strive to give people what they want, which is the most important part of a business! Thank you for some great new ideas! Glad that you found valuable content in this post. Was there any particular point that stood out for you? This helped me out so much with my website creation process. It was like a blueprint for me. I wanted to say thank you and I really enjoy your content. Please continue to write more valuable articles such as this one. I am glad that this post on tips from the fast food industry was able to help you with your online business. Was there any particular point that stood out from the rest? I really liked the comparison through your whole article with the Fast Food Industry, this really made me think about my strategies and approaches with my online business. I certainly took a few good pointers on how to improve my online business and its presence on a global scale. Happy to be of service. 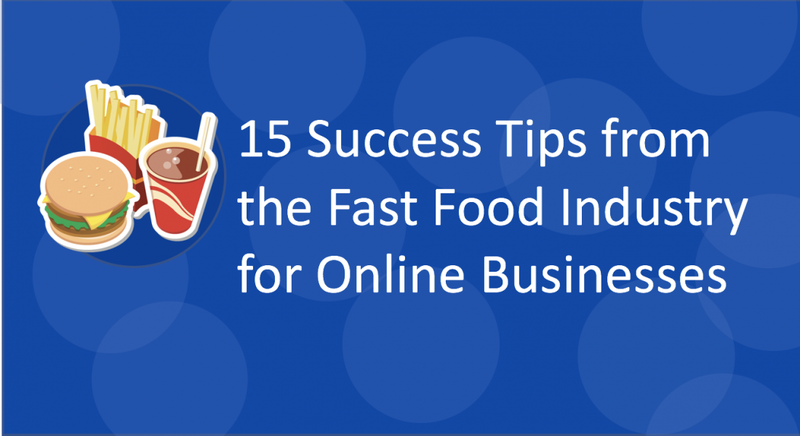 I’m glad that the success tips from the Fast Food industry could be used in your business. That’s awesome! Kevon, very nicely put across. Indeed, there are a lot of similarities between the offline and online business and, I personally feel that even though th concept of starting online business is being promoted as an extra earning opportunity, truly speaking it requires full time effort to set it up and set it in motion. I totally agree with you Deepika. You are really running a proper business. If you treat it as a part-time affair then don’t be surprised if you get part-time or even less than part-time income. your 15 tips for anyone wanting a franchise in the fast food industry. However, I cannot wrap my head around it being a profitable online business. Except if you are promoting the franchise industry for a specific franchise. Do any have affiliate programs? Thanks Maurice for your comment. Not sure if you read through the whole article. But the tips are really showing the successful strategies that the fast food industry adopted and the lessons that can be applied in any online business, including affiliate businesses. Some of the successes include strong branding, adding value for your customers, creating multiple levels of content and value, offering value for money, being highly visible, etc. All of these are lessons for online businesses. You killed it, Kevon! Great analogy using fast food as an example for marketing. I believe, like you imply in your article, that a lot of marketers today mimic fast food in their approach of online marketing – especially with the upsale mentality that we see, that comes from the fast food industry. Very creative in your approach of teaching online marketers the essence of marketing. Now, I would like a double cheeseburger, fries and a coke. By the way supersize the fries! You made me LOL with that comment. I’m thoroughly thrilled that you enjoyed reading this article. Glad that you liked the analogy between Fast Food and internet marketing. We should take the time to learn about successful strategies from other industries… so much of the information can be applied across the board from the fast food industry to an online business specifically. While location is key to a brick and mortar operation, I thought the location of the “world wide web” would make any online business successful. Of course, you pointed out the locations of reaching the correct traffic by using social media and other “high traffic” areas to promote your content. Thank you, Darla, for your comment. You are totally correct. We can learn so much from other industries. We just need to open our eyes and pay attention to the world around us.